Os Show Advertiser – featuring Jude! Jude Greaves was featured in last week’s Oswestry Advertiser write-up of our Inside Out stall at the Oswestry Show. 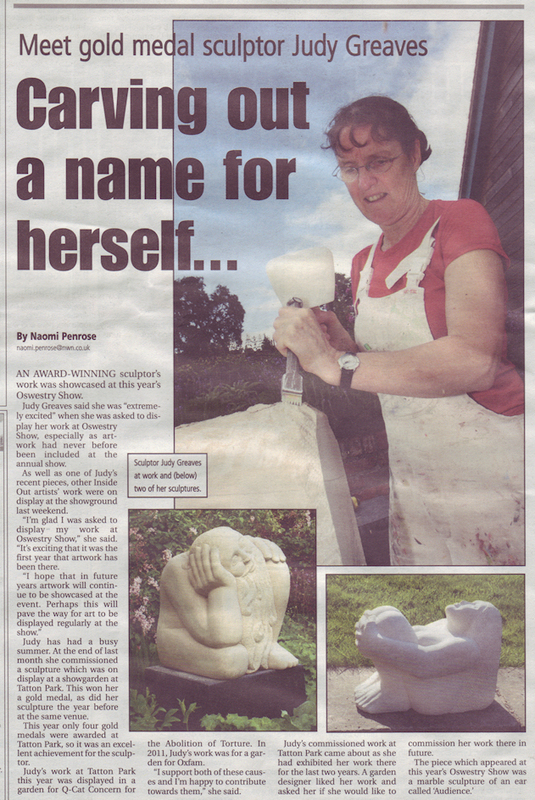 The article covered not only her work at the show, but also her gold medal win at Tatton Park for the Q-Cat Concern for the Abolition of Torture garden. If we can, Inside Out will certainly be at next year’s show. Perhaps now’s the time for individual artists to start making plans to have some stalls of their own, too?